EXO fans express concern after EXO members get targeted with laser pointers! Yumi Kim , Aug. 13, 2018, 10:31 a.m.
EXO recently held a concert in Macau where they proved to everyone how amazing they are. Fans were delighted to see such an amazing performance and fan footage was spreading across the internet. 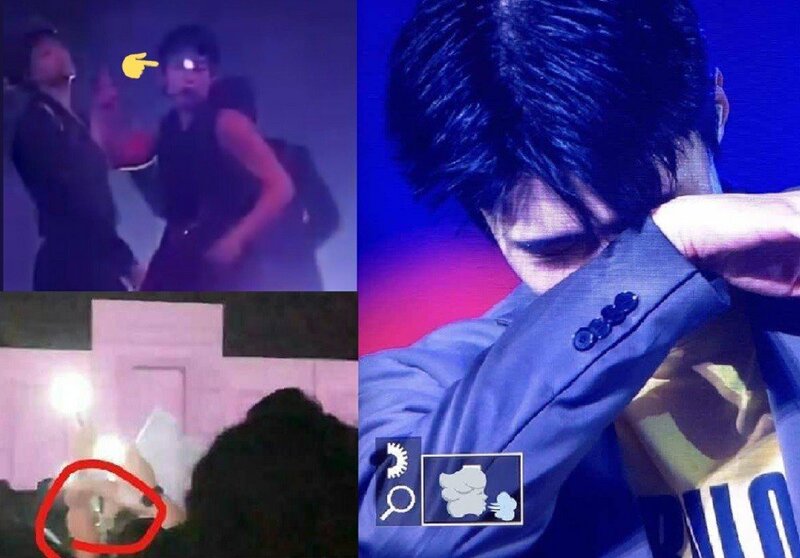 However, many fans noticed that throughout the concert, EXO members were targeted with last pointers on their face and forehead. Fans were truly upset and expressed a lot of concern since laser pointers can cause harm to the human eye and or cause a serious and dangerous situation. After reviewing lots of fan footage, a hashtag, '#SM_Protect_Your_Singers', came to be to let SM Entertainment know about the seriousness of the issue. One photo showed how big the laser marks were, one fan commented, "as big as a 500 won coin". Some comments about the issue, Imagine buying tickets for a concert (they'd have to be pretty good, expensive ones), buying a laser pen, travelling all the way to the concert and back - going through all of this effort for a group they supposedly 'hate' just to do this??" "sick in the head. hope sm and the coordinators could protect them more" "why the hell would anyone pay good money for concert tickets just to do something like this?! Pity Security didn't catch them." It was later revealed that the organziers of the concert enforced stricter rules on security and items allowed inside the venue.